A book cover must quickly capture a viewer’s attention and provoke curiosity about the content within, contributing an enduring element to the reader’s experience. The covers designed by Alvin Lustig in the 1940s and 1950s employ abstracted iconography and simple typography and lettering to create emotionally compelling representations of a book’s themes. Lustig, who died at 40, is remembered as one of America’s greatest modern designers. These hand-lettered, hand-illustrated book covers, which were highly unusual in the publishing world at that time, remain startling today. 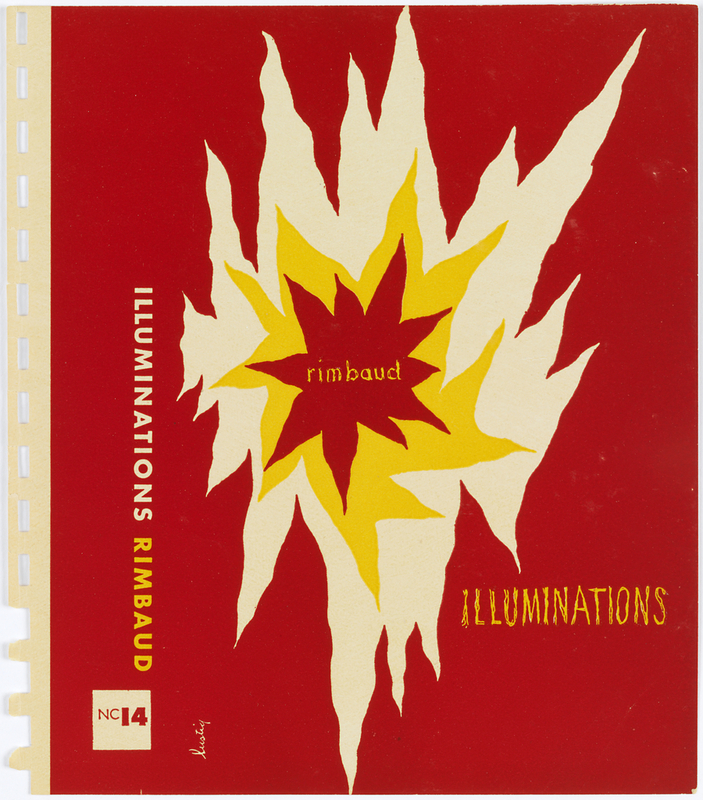 Book Cover, Season in Hell by Arthur Rimbaud, 1947. Designed by Alvin Lustig for New Directions Books (New York, New York, USA). Offset lithograph. Gift of Tamar Cohen and Dave Slatoff, 1993-31-165-3.